Up to 125vac. 21A (5kW) 3/8 inch MPT screw thread. Common used with in line bath heaters assembled before the water enters the pump wet end. Commonly used as an interlock device to sense gas, air or water pressure at a specific point. Usually Fitted to the suction side of your pump. 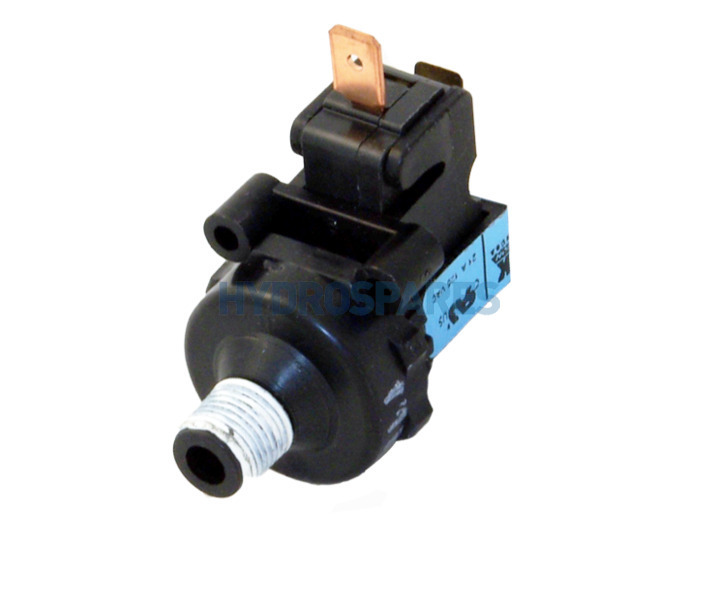 Tecmark Series V4000 Vacuum Switches convert a negative pressure signal to an electrical output. In response to a change in negative pressure, movement of an elastomeric diaphragm opens or closes an electrical circuit based on a predetermined pressure set point. The Series V4000 features cost effective, snap-acting electrical switches and field adjustable set points. Vacuum ranges from -2.5" (-600 Pa) Water Column (W.C.) to -10.75 PSI (-75 kPa) are available. Consult factory for vacuum levels outside listed ranges. Series V4000 switches assure control stability through wide and variable temperature and humidity conditions and assure uninterrupted service under extreme shock and vibration. As with all Tecmark® products, series V4000 switches provide superior performance and 100,000 cycle life under full mechanical, electrical and thermal loads. Electrical ratings to 25 amp, 250 VAC. Field tested critical components specifically selected to operate reliably in temperature extremes of 32° to 190° F (0°C to 88°C). 100,000+ cycle life under full mechanical, electrical and thermal loads. Please refer to data download sheet on this listing.